Catching up on my sewing projects. Family have asked for..
Why is it boy's always want black. I find it such a hard colour to work with these days, but this is what my nephew wanted for his room. Turned out pretty good, not perfect thats for sure.. 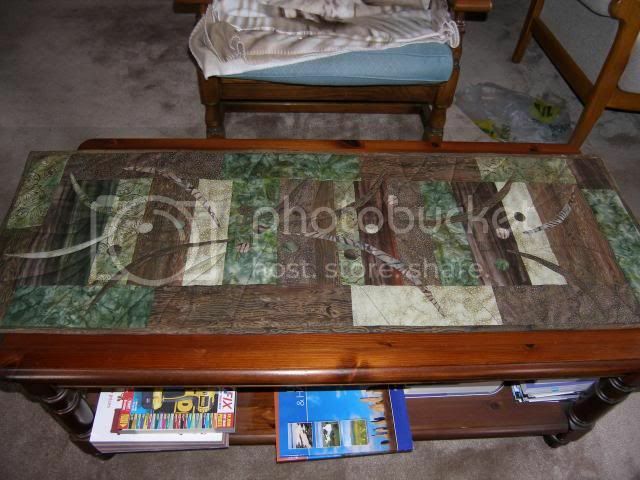 This is what my sister wanted for her coffee table. This one I made just be cause I had the fabric kicking around. Waiting for hubby to ask what I'm going to do with it now. 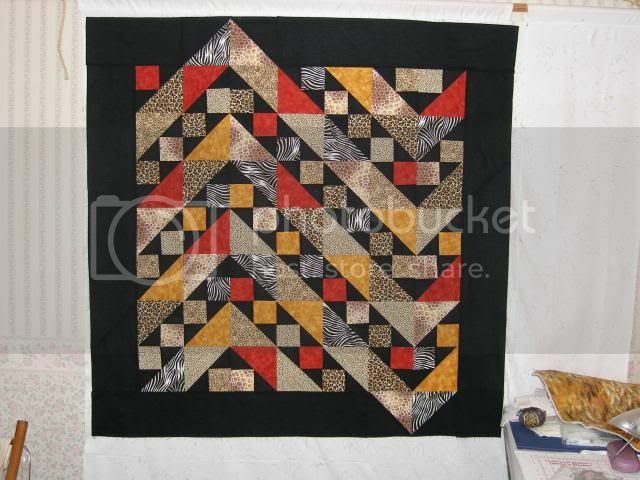 Have to get quilting now, before I start anything new. At least the runner if finished. Your work is stunning - it always leaves me feeling deeply inadequate! I love the first one especially; the design is so striking. You clever lady you! Thank you. 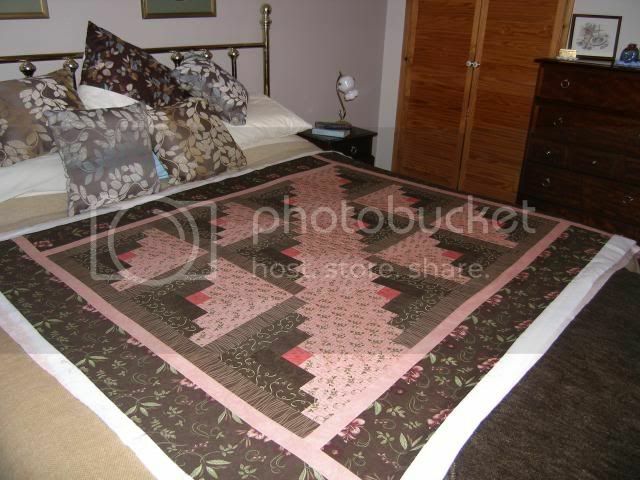 Does your friend still quilt? She does indeed! I think one day she'll be amazing at it, because she's doing some wonderful things already while running her husband's business and dealing with an active toddler and two big dogs. Somehow she still found time last year to make a full double bed sized quilt for friends' wedding anniversary. It took her nearly a year to do, but it was fabulous. I think it was a Japanese design? Wonderful, anyway. so easy to use, and go to any time I want.. She might be interested sometime, when she wants to learn a new technic..
She is most welcome, Classes here are very thin on the ground and they don't really teach quilting, they make stuff I would'nt want. So having this site for me is great.. I have signed up for four classes so far. As always, they are beautiful. You have such an eye for what goes with what. Those are... I'm speechless. I wouldn't have the patience.